Obituary for Jesse H. Woodford, Jr | Collins Funeral Home, Inc.
Mr. Jesse Woodford, Jr, 77, of Camden, South Carolina passed away peacefully on February 2, 2019. He was born in Kershaw County on July 25, 1941 and reared by his late parents, Mary S. Jones and Benjamin Jones. Jesse attended Jackson High School in Camden, South Carolina and played on the football team as a running back. He was known for his speed while playing for the Jackson High School Tigers. Mr. Woodford was first employed by the Sarsfield Hotel in Camden, South Carolina. He later relocated to New York where he was employed by the New York Horse Racing Association for many years. In 2002, he returned to Camden and was employed with the Shadwell Farm until his health declined. Jesse accepted Christ as his personal savior and was baptized in January 2013 at Gordon Street Church of God where he served as a trustee. Jesse was a passionate and benevolent man who enjoyed helping others. He also enjoyed playing golf whenever possible and was proud and overjoyed when he hit a "hole-in-one" at White Pines Golf Club. He was a gifted and creative artist. In his spare time, he enjoyed doing arts and crafts in which he built large ships, airplanes, submarines, helicopters, walking canes as well as picture frames as his passion. He also made crosses for his siblings. Jesse was extremely loving and proud of his adorable daughter, Cynthia A. Moore of Petersburg, Virginia. He was preceded in death by his wife, Carol Sydney Woodford and his biological father, Jesse Woodford, Sr.
Those who are left to cherish his memory are his daughter, Cynthia A Moore; stepson, Demetrist (Sherri) Edwards; siblings, Charles (Vernita) Smith of Nashville, TN, Benjamin (Carolyn) Jones of Baltimore, MD, Corrie (Rev. John) Gary of Camden, SC, Marilyn (Rev. Dwight) James of Bishopville, SC, Kenneth Jones of Camden, SC, Debra Mack of Pontiac, SC and Gwen (William) Davis of Paris, KY. 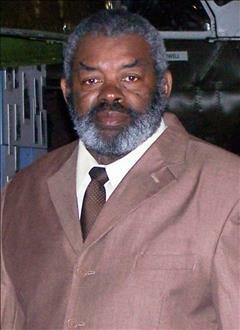 He was also a wonderful and loving father figure to Brenda D. Moore of Long Island, NY, Christopher "Chris" Stevens of Camden, SC and God-daughter, Courtney Johnson of Chester, VA. Jesse's special and loyal friends were Rosalene (Lucy) Bobbitt of Lexington, KY, James (Ducko) Adams and Richard Stratford of Camden, SC. He also leaves a host of nieces, nephews and friends.